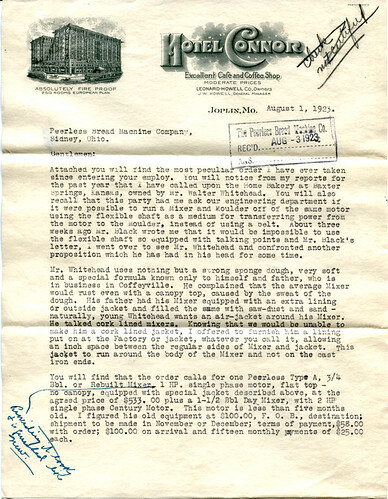 The gift of a donor, below you will find a letter written by a traveling business man from the Peerless Bread Machine Company of Sidney, Ohio. The letter, presumably written on a portable typewriter, was typed on Connor Hotel letterhead in 1923. 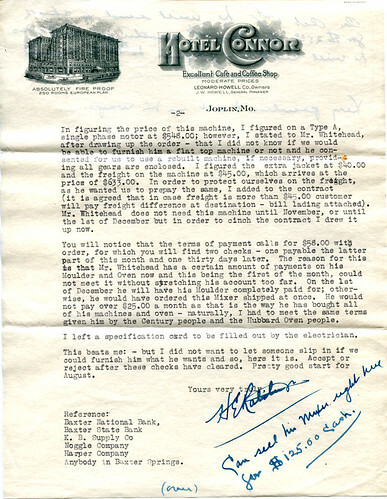 As the premier hotel in the region, or as some might argue, the entire Southwest, the Connor was a customary stop over for business men like the writer of the letter. This page took 0.181 seconds of computer labor to produce.